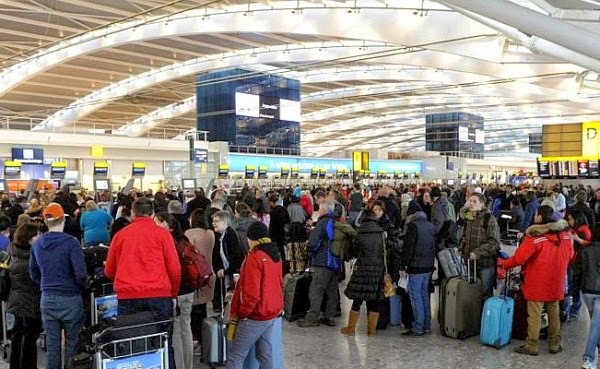 Home Unlabelled Heathrow Airport workers arrested in theft probe. Heathrow Airport workers arrested in theft probe. Nine members of staff at Heathrow Airport have been arrested on suspicion of theft of personal property. The six men and three women, aged between 23 and 63, were arrested as part of a planned operation by the Metropolitan Police's aviation branch. Two members of staff were arrested at the airport and seven at residential addresses, in relation to 43 thefts between 22 May and 02 September. Searches are taking place at a number of locations. The arrested men and women were taken to a west London police station and remain in custody. Supt Martin Hendy said: "Police at Heathrow work together with our partners at the airport to ensure that any allegations of criminal activity are robustly investigated to ensure the travelling public and staff at the airport enjoy a safe and secure environment. "Today's arrests support that commitment."